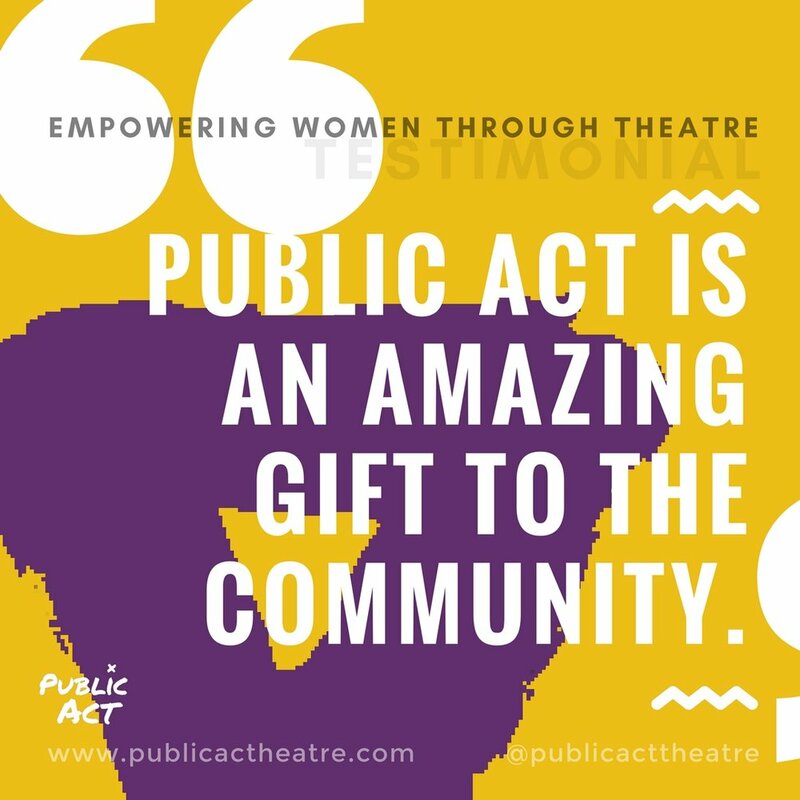 I was recently given the opportunity to work with ‘Public Act’ Theatre Company as part of the Nortec WFD program. The work experience I have since received has been invaluable to say the least, and has been a perfect match for my employment interests and current skills set. 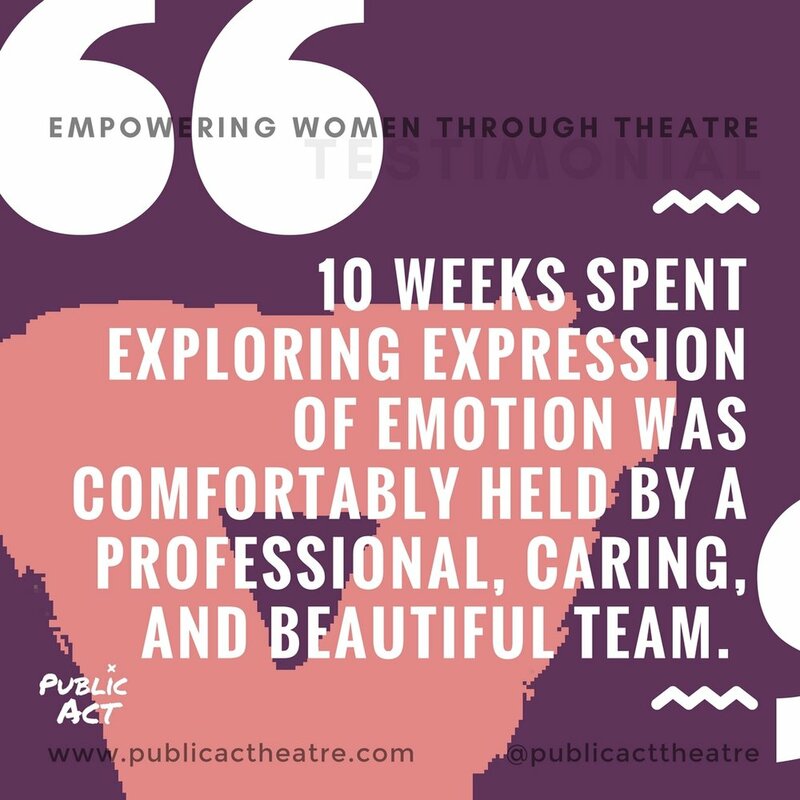 My self-confidence and drive has been nurtured and encouraged to grow daily through their women’s’ theatrical program. And their personal, one on one coaching and continued support has helped me to become clearer about my future employment goals. Being part of this program has been quite honestly, transformational. I feel very humbled that I found Public Act, or perhaps, that Public Act found me. I have found the Nortec project very rewarding. When I lost my job I lost a whole network of friends. I found Public Act has built my confidence, helped me with computer skills and also helped me understand certain issues about myself. The two women that run it, Frauke and Philippa are very giving and experienced and give their unconditional attention to each individual. I also believe that there is work for me at the end of my project, ‘Entertaining in Nursing Homes’. This is what I will be working towards. During the past 6 months I have found the workshops, training and volunteering to be confidence building and applicable. The instructors have been professional and empathetic. I have gained confidence and improved my communication skills by being gently challenged through applicable role-playing and artistic exercises.